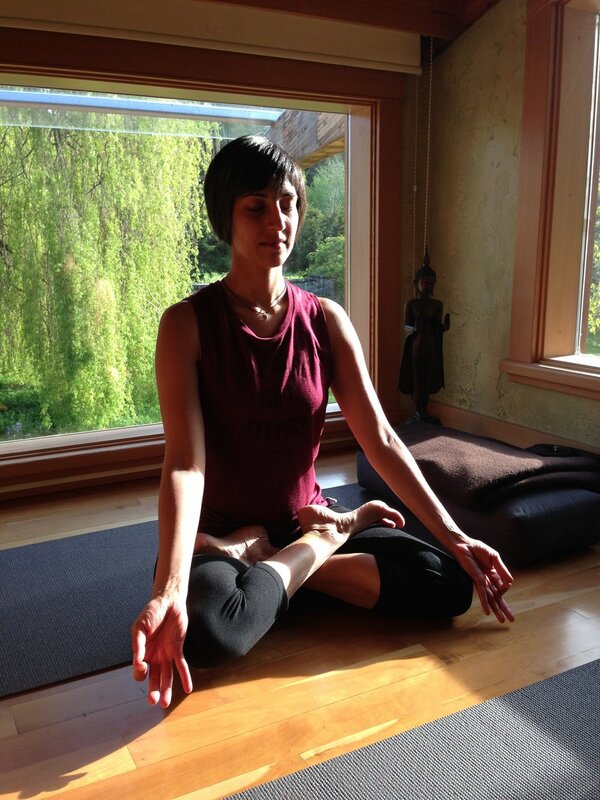 A moment of calm during a yoga and meditation retreat in 2017. It has, unintentionally, been ages since I have written. I am happy to report all is well and life is full. For those of you who I haven’t seen in person lately, I hope you survived the holidays and are finding time for yourself as we begin a new year. I am honoured to be guest teaching Sunday morning for Empowered Yoga’s Meditation and Mindfulness Training happening January 18 - 20. I have found retreats and intensives a wonderful place to deepen my learning and understanding. I look forward to joining forces with Michele Theoret during this module created for those who wish to incorporate meditation and mindfulness into their current practice both personally or as a facilitator. I just wrote a blog post that I was jazzed to share with you and then it disappeared into the ether… not ideal, but I am dealing with it. More on that next time. I look forward to connecting soon, hopefully in person!